Are you clear what ‘a neutral spine’ means – and why it matters? The natural ’neutral’ spinal column has four curves when viewed in the sagittal plane (or side view) – a lumbar and a cervical lordosis; and a thoracic and a sacral kyphosis. These physiological curves balance one another and are considered important in aiding shock absorption and distributing load through the spine. At birth our spine is one long kyphotic C curve. 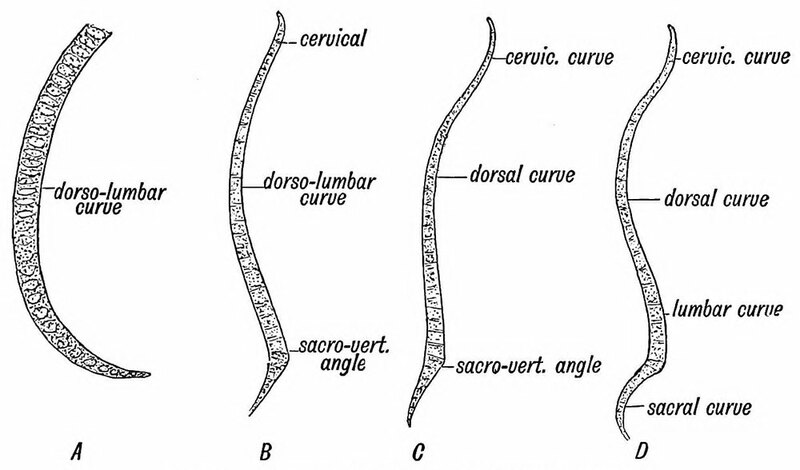 As posture and movement control develop, so do the spinal curves. The lumbosacral curve is the last to develop but it is particularly important in the whole spine achieving its optimal antigravity upright position where the curves balance one another. Optimal spinal alignment ensures that the main centres of mass – the head, thorax and pelvis are aligned over one another and close to the line of gravitational force – the head is balanced on the top of the spine – over the tailbone at the bottom of the column. Here, energy expenditure in maintaining the ‘lift’ in the column is minimal and the individual spinal segments are optimally aligned such that compression and tension loading forces are well balanced. As the spine is a multi-segmental structure, it is potentially prone to ‘buckling’ and collapse. 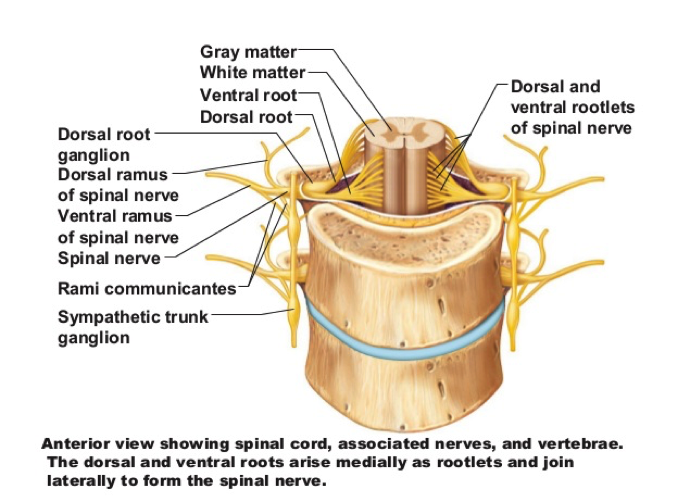 However the neuromuscular system is normally well organised to provide an array of intrinsic mechanisms which provide both sustained inner support and control of each spinal segment, antigravity posture of the whole spine – and also the ability stabilise the spine against the torques created by limb movements. Healthy patterns of spinal control also rely upon support from competent control of the head and the proximal limb girdles – the pelvic girdle inferiorly – and the shoulder girdle posterior-superiorly. A ‘neutral spine’ is not rigidly ‘held in place’, but is one in a continual dialogue of ‘dynamic postural alignment’ around the line of gravitational force – via small subtle movement oscillations and postural adjustments. And, the spine is also then free to move in and out of this and to reach out in space in movement in all three planes. Importantly, it is able to readily resume the ‘neutral’ alignment for sustained antigravity activities. The origin of the spine’s demise appears to be our increasingly sedentary lifestyle – habitual collapsed postural behaviour leads to a loss of effective patterns of intrinsic control of both the spine itself – and the proximal limb girdles. The spine functions as an integrated system – changes in one spinal curve affects the others. Axial collapse appears to start in the pelvis – and then in time begins to effect the whole spine. Control of the pelvis directly influences control of the lumbar lordosis. Loss of anterior pelvic rotation means loss of control of the lumbar lordosis. Some spinal regions become stiff and lose segmental flexibility – while others become overworked with poor segmental control and joint protection. The once flexible spine instead now moves with regional ‘blocks’ and probably ‘hinging’ at some segments. The ability to align the spine in the physiological curves is lost. An increased thoracic kyphosis and loss of extension regionally and/or generally through the spine is usually apparent. Poor intrinsic support for the spine from the deep myofascial system requires the need for other ‘compensatory’ control strategies. These commonly rely upon excess superficial ‘global’ muscle activity and unnecessary tension, which further compromises spinal function and segmental health. Regional end range segmental loading in excess compression and/or tension results over time. As each spinal segment enjoys a rich lattice of neural innervation, spinal ‘segmental bother’ has the potential to cause local and far reaching effects. Pain garners the most attention. Rather than necessarily indicating frank pathology – pain is indicative of altered function within the neuro-musculo-skeletal system – a means whereby the system is asking for help. If we can read the signs! When segmental alignment changes, not only is the stage set for local pain – e.g. back pain, neck pain, SIJ pain – but segmental dysfunction can also feed into pelvic girdle, ‘hip’, and ‘shoulder’ pain syndromes – and many other peripheral limb pain syndromes. Many so called ‘sports injuries’ are frequently driven by underlying spinal dysfunction. Importantly, clinical evidence leads me to believe that the influence of sustained altered segmental afference – (and other peripheral neural inputs) into the CNS, underlie much of the problem of ‘central sensitisation’ and many chronic musculoskeletal pain syndromes. Dare I say, that this is much under-appreciated in many current pain science models?! In so doing, the symptoms will usually disappear. However this is often easier said than done! To be effective, the therapist needs to have a good appreciation of spinal function and dysfunction – in particular an understanding of Fundamental Patterns of axial control and how these are altered in people with various musculo-skeletal pain syndromes. Therapeutic success requires a combined tailored manual and movement therapy approach. And competent practice in these relies upon well-developed observational and palpation skills. And the ability to prescribe a relevant exercise programme which is appropriately staged to the subject’s abilities – and restores the missing links required for healthy functional control of the spine.